Ditch the sleeves! 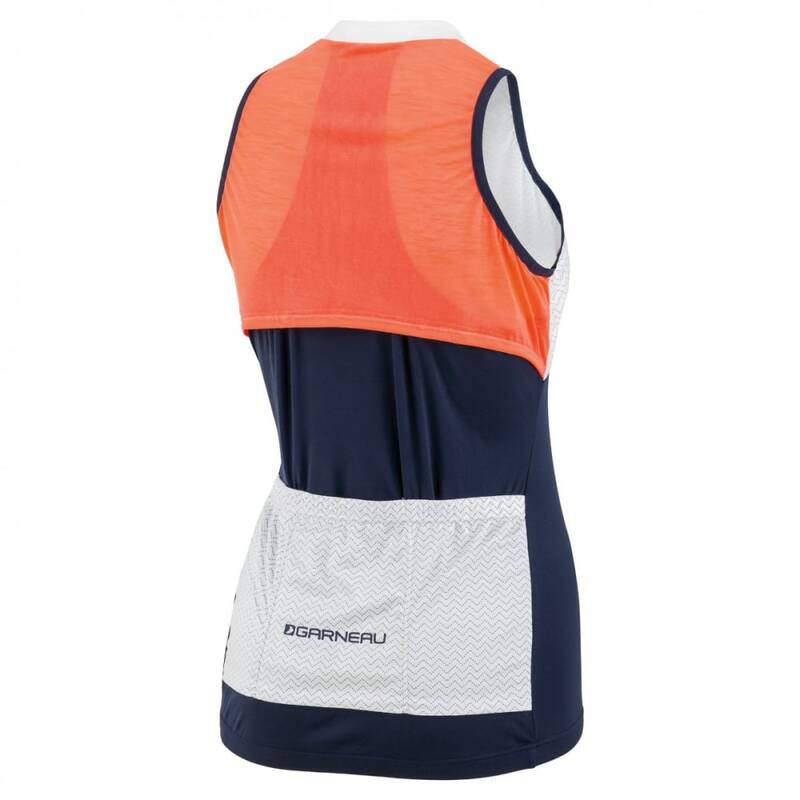 The new Sleeveless Zircon jersey offers the same cool features as the Zircon-2 jersey, so you can beat the heat and look great while you’re at it – without the sleeves. 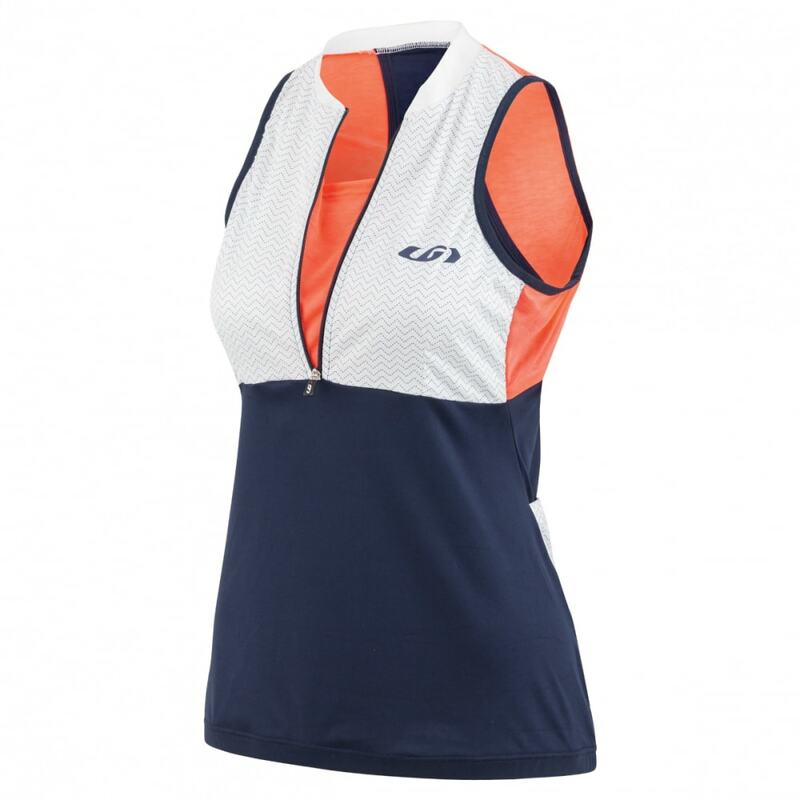 The Sleeveless Zircon offers exceptional moisture management and breathability, with strategically placed mesh panels (including one that runs across the back), and great UV protection to keep you cool and protected from the sun. Reflective logos and pocket trim make you more visible, and a sweat proof media pocket will keep your gear safe. 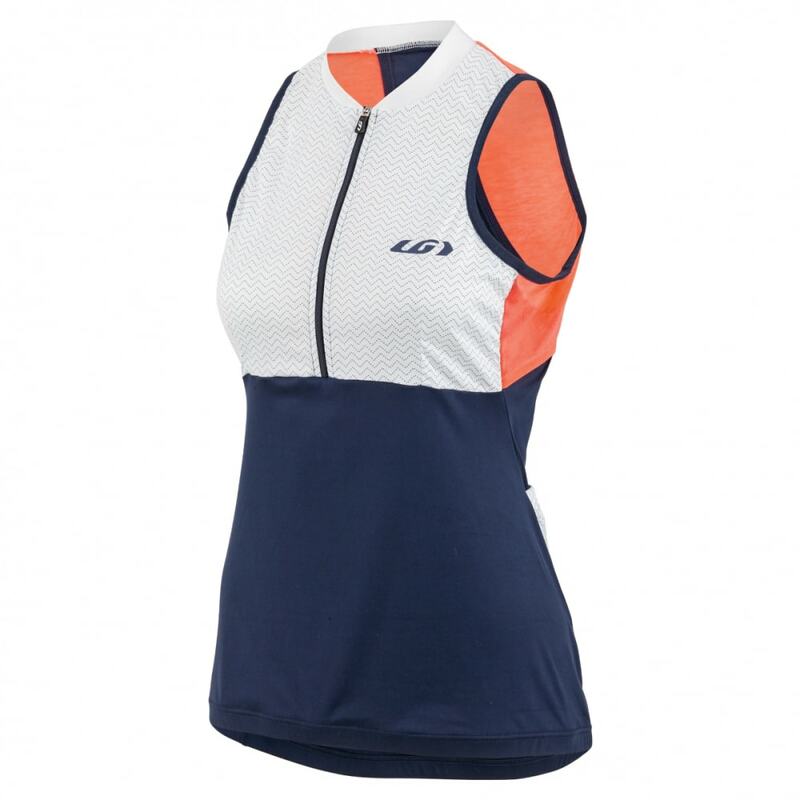 The Zircon fabric’s 4-way stretch makes for an excellent fit, and the silicone strip on the bottom hem keeps the jersey in place. Bring on the warm weather, let’s ride!